Yad Vashem (Hebrew: יָד וַשֵׁם; literally, "a monument and a name") is Israel's official memorial to the victims of the Holocaust. It is dedicated to preserving the memory of the dead; honoring Jews who fought against their Nazi oppressors and Gentiles who selflessly aided Jews in need; and researching the phenomenon of the Holocaust in particular and genocide in general, with the aim of avoiding such events in the future. Established in 1953, Yad Vashem is on the western slope of Mount Herzl, also known as the Mount of Remembrance, a height in western Jerusalem, 804 meters (2,638 ft) above sea level and adjacent to the Jerusalem Forest. The memorial consists of a 180-dunam (18.0 ha; 44.5-acre) complex containing the Holocaust History Museum, memorial sites such as the Children's Memorial and the Hall of Remembrance, the Museum of Holocaust Art, sculptures, outdoor commemorative sites such as the Valley of the Communities, a synagogue, a research institute with archives, a library, a publishing house, and an educational center, the International School/Institute for Holocaust Studies. A core goal of Yad Vashem's founders was to recognize non-Jews who, at personal risk and without a financial or evangelistic motive, chose to save Jews from the ongoing genocide during the Holocaust. Those recognized by Israel as Righteous Among the Nations are honored in a section of Yad Vashem known as the Garden of the Righteous Among the Nations. Yad Vashem is the second-most-visited Israeli tourist site, after the Western Wall, with approximately one million visitors each year. It does not charge any fee for admission. The name "Yad Vashem" is taken from a verse in the Book of Isaiah: "To them I will give within my temple and its walls a memorial and a name better than sons and daughters; I will give them an everlasting name that will endure forever" (Isaiah 56:5). Naming the Holocaust memorial "yad vashem" (Biblical Hebrew יָ֣ד וָשֵׁ֔ם yād wā-šêm) conveys the idea of establishing a national depository for the names of Jewish victims who have no one to carry their name after death. The original verse referred to eunuchs who, although they could not have children, could still live for eternity with the Lord. The idea of establishing a memorial in the historical Jewish homeland for Jewish victims of the Nazi Holocaust was conceived during World War II, as a response to reports of the mass murder of Jews in Nazi-occupied countries. Yad Vashem was first proposed in September 1942, at a board meeting of the Jewish National Fund, by Mordecai Shenhavi, a member of Kibbutz Mishmar Ha'emek. In August 1945, the plan was discussed in greater detail at a Zionist meeting in London. A provisional board of Zionist leaders was established that included David Remez as chairman, Shlomo Zalman Shragai, Baruch Zuckerman, and Shenhavi. In February 1946, Yad Vashem opened an office in Jerusalem and a branch office in Tel Aviv, and in June that year convened its first plenary session. In July 1947, the First Conference on Holocaust Research was held at the Hebrew University of Jerusalem. However, the outbreak in May 1948 of the War of Independence brought operations to a standstill for two years. On 19 August 1953, the Knesset, Israel's Parliament, unanimously passed the Yad Vashem Law, establishing the Martyrs' and Heroes' Remembrance Authority, the aim of which was "the commemoration in the Homeland of all those members of the Jewish people who gave their lives, or rose up and fought the Nazi enemy and its collaborators," and to set up "a memorial to them, and to the communities, organizations and institutions that were destroyed because they belonged to the Jewish people." On 29 July 1954, the cornerstone for the Yad Vashem building was laid on a hill in western Jerusalem, to be known as the Mount of Remembrance (Hebrew: Har HaZikaron‎); the organization had already begun projects to collect the names of individuals killed in the Holocaust; acquire Holocaust documentation and personal testimonies of survivors for the Archives and Library; and develop research and publications. The memorial and museum opened to the public in 1957. The location of Yad Vashem on the western side of Mount Herzl, an area devoid of weighty historical associations, was chosen to convey a symbolic message of "rebirth" after destruction, distinct from the Chamber of the Holocaust, founded in 1948 on Mount Zion. Thus, the latter museum, whose walls are lined with plaques memorializing over 2,000 Jewish communities destroyed during the Holocaust, portrays the Holocaust as a continuation of the "death and destruction" that plagued Jewish communities throughout Jewish history. On 15 March 2005, a new Museum complex four times larger than the old one opened at Yad Vashem. It included the Holocaust History Museum with a new Hall of Names, a Museum of Holocaust Art, an Exhibitions Pavilion, a Learning Center and a Visual Center. The new Yad Vashem museum was designed by Israeli-Canadian architect Moshe Safdie, replacing the previous 30-year-old exhibition. It was the culmination of a $100 million decade-long expansion project. Buchenwald concentration camp, April 16, 1945, after liberation. Eli Wiesel, later Vice Chairman of Yad Vashem, is in the 2nd row from the bottom, 7th from the left, next to the bunk post. In November 2008, Rabbi Yisrael Meir Lau was appointed Chairman of Yad Vashem's Council, replacing Tommy Lapid. The Vice Chairmen of the Council are Yitzhak Arad and Moshe Kantor. Elie Wiesel was Vice Chairman of the Council until his death on July 2, 2016. The Chairman of the Directorate is (since 1993) Avner Shalev, who replaced Yitzhak Arad, who had served in this position for 21 years. The Director General is Dorit Novak. The Head of the International Institute for Holocaust Research and Incumbent is John Najmann. The Chair for Holocaust Studies is Prof. Dan Michman. The Chief Historian is Prof. Dina Porat. The Academic Advisor is Prof. Yehuda Bauer. The Members of the Yad Vashem Directorate are Yossi Ahimeir, Daniel Atar, Michal Cohen, Matityahu Drobles, Abraham Duvdevani, Prof. Boleslaw (Bolek) Goldman, Vera H. Golovensky, Moshe Ha-Elion, Adv. Shlomit Kasirer, Yossi Katribas, Yehiel Leket, Baruch Shub, Dalit Stauber, Dr. Zehava Tanne, Adv. Shoshana Weinshall, and Dudi Zilbershlag. The aims of Yad Vashem are education, research and documentation, and commemoration. Yad Vashem organizes professional development courses for educators both in Israel and throughout the world; develops age-appropriate study programs, curricula, and educational materials for Israeli and foreign schools in order to teach students of all ages about the Holocaust; holds exhibitions about the Holocaust; collects the names of Holocaust victims; collects photos, documents, and personal artifacts; and collects Pages of Testimony memorializing victims of the Holocaust. Yad Vashem seeks to preserve the memory and names of the six million Jews murdered during the Holocaust, and the numerous Jewish communities destroyed during that time. It holds ceremonies of remembrance and commemoration; supports Holocaust research projects; develops and coordinates symposia, workshops, and international conferences; and publishes research, memoirs, documents, albums, and diaries related to the Holocaust. Yad Vashem also honors non-Jews who risked their lives to save Jews during the Holocaust. The International School/Institute for Holocaust Studies at Yad Vashem, founded in 1993, offers guides and seminars for students, teachers, and educators, and develops pedagogic tools for use in the classroom. Yad Vashem trains 10,000 domestic and foreign teachers every year. The organization operates a web site in several languages, including German, Hebrew, Farsi, and Arabic. In 2013 Yad Vashem launched an online campaign in Arabic, promoting Yad Vashem's website. The campaign reached over 2.4 million Arabic speakers from around the globe, and the traffic to Yad Vashem's website was tripled. The institution's policy is that the Holocaust "cannot be compared to any other event". In 2009 Yad Vashem fired a docent for comparing the trauma Jews suffered in the Holocaust to the trauma Palestinians suffered during Israel's War of Independence, including the Deir Yassin massacre. Yad Vashem Studies is a peer-reviewed semi-annual scholarly journal on the Holocaust. Published since 1957, it appears in both English and Hebrew editions. Yad Vashem opened to the public in 1957. Its exhibits focused on Jewish resistance in the Warsaw ghetto, the uprisings in Sobibor and Treblinka death camps, and the struggle of survivors to reach Israel. In 1993, planning began for a larger, more technologically advanced museum to replace the old one. The new building, designed by Canadian-Israeli architect Moshe Safdie, consists of a long corridor connected to 10 exhibition halls, each dedicated to a different chapter of the Holocaust. The museum combines the personal stories of 90 Holocaust victims and survivors, and presents approximately 2,500 personal items including artwork and letters donated by survivors and others. The old historical displays revolving around anti-Semitism and the rise of Nazism have been replaced by exhibits that focus on the personal stories of Jews killed in the Holocaust. According to Avner Shalev, the museum's curator and chairman, a visit to the new museum revolves around "looking into the eyes of the individuals. There weren't six million victims, there were six million individual murders." In April 2019, Yad Vashem will break ground on a new subterranean center to house and conserve millions of artifacts from the Holocaust. The museum, designed by Moshe Safdie, is shaped like a triangular concrete prism that cuts through the landscape, illuminated by a 200 meters (656 ft)-long skylight. Visitors follow a preset route that takes them through underground galleries that branch off from the main hall. The Hall of Names is a memorial to the six million Jews who perished in the Holocaust. The main hall is composed of two cones: one ten meters high, with a reciprocal well-like cone excavated into the underground rock, its base filled with water. On the upper cone is a display featuring 600 photographs of Holocaust victims and fragments of Pages of Testimony. These are reflected in the water at the bottom of the lower cone, commemorating those victims whose names remain unknown. Surrounding the platform is the circular repository, housing the approximately 2.2 million Pages of Testimony collected to date, with empty spaces for those yet to be submitted. Since the 1950s, Yad Vashem has collected approximately 110,000 audio, video, and written testimonies by Holocaust survivors. As the survivors age, the program has expanded to visiting survivors in their homes, to tape interviews. Adjoining the hall is a study area with a computerized data bank where visitors can do online searches for the names of Holocaust victims. The Archive is the oldest department of Yad Vashem. Before presenting an exhibition, Yad Vashem collects items. The best known of these are the historical photographs, as well as the Pages of Testimonies collected from survivors. The latter is a database of personal information about those who survived and those who perished in the Holocaust. Yad Vashem has also acquired access to the database of the International Tracing Service of Bad Arolsen of the International Committee of the Red Cross, and these two databases complement each other for research purposes. One of Yad Vashem's tasks is to honor non-Jews who risked their lives, liberty, or positions to save Jews during the Holocaust. To this end, a special independent commission, headed by a retired Supreme Court justice, was established. The commission members, including historians, public figures, lawyers, and Holocaust survivors, examine and evaluate each case according to a well-defined set of criteria and regulations. The Righteous receive a certificate of honor and a medal, and their names are commemorated in the Garden of the Righteous Among the Nations, on the Mount of Remembrance, Yad Vashem. This is an ongoing project that will continue for as long as there are valid requests, substantiated by testimonies or documentation. Five hundred fifty-five individuals were recognized during 2011, and as of 2019[update], more than 26,973 individuals have been recognized as Righteous Among the Nations. Yad Vashem's declared policy is not to provide meaningful recognition, even in a possible new category, to Jews who rescued Jews, regardless of the number of people their activism saved. The stated reason is that Jews had an obligation to save fellow Jews and don't deserve recognition. Yad Vashem houses the world's largest collection of artwork produced by Jews and other victims of Nazi occupation in 1933–1945. The Yad Vashem Art Department supervises a 10,000-piece collection, adding 300 pieces a year, most of them donated by survivors' families or discovered in attics. Included in the collection are works by Alexander Bogen, Alice Lok Cahana, Samuel Bak, and Felix Nussbaum. Yad Vashem International Book Prize for Holocaust Research, established in 2011 in memory of Abraham Meir Schwartzbaum, Holocaust survivor, and his family who was murdered in the Holocaust. It is awarded annually in recognition of high scholarly research and writing on the Holocaust. Sussman Prize for Paintings of the Shoah. Earlier: Aharon Appelfeld, Alona Frankel (2005), Ida Fink, Dina Porat, Lizzie Doron, Amir Gottfreund, and Itamar Levin. In 1973, the Pinkas HaKehillot (Encyclopedia of Jewish Communities) project of Yad Vashem was awarded the Israel Prize, for its special contribution to society and the State. In 2003, Yad Vashem was awarded the Israel Prize, for lifetime achievement and its special contribution to society and the State. In September 2007, Yad Vashem received the Prince of Asturias Award for Concord. The Prince of Asturias Awards are presented in eight categories. The Award for Concord is bestowed upon a person, persons, or institution whose work has made an exemplary and outstanding contribution to mutual understanding and peaceful coexistence among men, to the struggle against injustice or ignorance, to the defense of freedom, or whose work has widened the horizons of knowledge or has been outstanding in protecting and preserving mankind's heritage. On 25 October 2007, Yad Vashem Chairman Avner Shalev was awarded the Légion d'honneur for his "extraordinary work on behalf of Holocaust remembrance worldwide." French President Nicolas Sarkozy presented Shalev with the award in a special ceremony at the Elysee Palace. In 2011, Shalev received the City of Jerusalem's Patron of Jerusalem Award in recognition of his work in the city. ^ Highlights, Yad vashem, 2017 . ^ Highlights, Yad vashem, 2016 . ^ Highlights, Yad vashem, 2015 . ^ a b Margalit, Avishai (2002). The Ethics of Memory. Harvard University Press. Retrieved 2014-02-25. ^ Gilbert, Martin (2008). Israel: A History (rev. & upd. ed.). New York: Harper Perennial. p. 288. ISBN 978-0-68812363-5. ^ Silberklang, David (Fall 2003). "More Than a Memorial: The Evolution of Yad Vashem" (PDF). Yad Vashem Quarterly Magazine. Jerusalem, IL: Yad Vashem (Special Commemorative ed. ): 6–7. ^ Naor, Mordechai (1998). "1954". The Twentieth Century in Eretz Israel. Translated by Krausz, Judith. Cologne, DE: Konenmann Verlagsgesellschaft. pp. 317–18. ISBN 978-3-89508595-6. ^ Edrei, Arye (2007-06-07). "Holocaust Memorial". In Doron Mendels. On Memory: An Interdisciplinary Approach. p. 43. ISBN 978-3-03911-064-3. ^ Singer, Yehudit (May 6, 2008). "60 Years of Commemorating the Holocaust". Shiur Times: 36–37. ^ Amdur Sack, Sallyann (1995). A guide to Jewish genealogical research in Israel. Avotaynu. p. 67. ISBN 0-96263737-8. ^ Jacobs, Daniel; Eber, Shirley; Silvani, Francesca (1998). Israel and the Palestinian Territories: The Rough Guide. Rough Guides. p. 371. ISBN 1-85828248-9. ^ Stauber, Roni (2007). The Holocaust in Israeli Public Debate in the 1950s: Ideology and memory. Vallentine Mitchell. p. 99. ISBN 0-85303723-X. ^ "New Holocaust Museum Opens in Jerusalem". The New York Times. March 15, 2005. Retrieved 15 January 2018. ^ "The new Holocaust History Museum at Yad Vashem – Facts & Figures" (press release). Yad Vashem. 15 March 2005. ^ Lefkovits, Etgar. "Jerusalem: Yad Vashem". Highbeam. Archived from the original on 2013-05-25. Retrieved 2014-02-25. ^ a b Ser, Sam. "New Yad Vashem museum to emphasize 'human story'". Jerusalem Post/Highbeam.com. Archived from the original on 2013-05-25. Retrieved 2014-02-25. ^ "Elie Wiesel — Photograph". United States Holocaust Memorial Museum. Archived from the original on 2013-07-19. ^ "Rabbi Israel Meir Lau Appointed Chairman of the Yad Vashem Council". .yadvashem.org. Retrieved 2012-07-21. ^ "The International School for Holocaust Studies". .yadvashem.org. Retrieved 2012-04-24. ^ Our Memory of the Past and for the Future: Based on the Proceedings of an International Forum in Jerusalem, Israel, 15–21 September 2003. Council of Europe. 2005. Retrieved 2014-02-25. ^ Stay informed today and every day (2013-08-24). "Remembering the Holocaust: Bearing witness ever more". Economist.com. Retrieved 2014-02-25. ^ Ofer Aderet (2014-02-11). "Yad Vashem finds Muslim clicks on Facebook". haaretz.com. Retrieved 2014-09-21. ^ "Yad Vashem Studies". The International Institute for Holocaust Research. Retrieved 2017-02-23. ^ a b Chris McGreal (2005-03-15). "'This is ours and ours alone'". Guardian. Retrieved 2014-02-25. ^ Kis-Lev, Jonathan (2015). My Quest For Peace: One Israeli's Journey From Hatred To Peacemaking. Goldsmith Press. ISBN 978-1537163536. ^ Amanda Borschel-Dan. "Yad Vashem to break ground on new artifacts center on Holocaust Remembrance Day". www.timesofisrael.com. Retrieved 2019-03-27. ^ "Gardens of the Righteous Worldwide - The Yad Vashem Garden of the Righteous". Gariwo. Retrieved 2012-07-24. ^ Sanders, Edmund (December 26, 2010). "Holocaust art endures at Israel's Yad Vashem museum". Articles.latimes.com. Retrieved 2014-02-25. ^ "The Yad Vashem International Book Prize for Holocaust Research 2012". Yadvashem.org. Retrieved 2014-02-25. ^ "Buchman Prize - Yad Vashem Judges' Reasons". Alonafrankel.com. Retrieved 2014-02-25. ^ "Israel Prize Official Site – Recipients in 1973 (in Hebrew)". Archived from the original on 2010-01-18. ^ "Israel Prize Official Site (in Hebrew) – Recipient's C.V. (2003)". ^ "Israel Prize Official Site (in Hebrew)- Judges' Considerations for Grant of Prize to Recipient in 2003". ^ "Yad Vashem Chairman Avner Shalev to Receive 2011 Patron of Jerusalem (Yakir Yerushalayim) Award". Yad Vashem. 7 March 2011. Retrieved 11 November 2013. ^ "Crown Prince of Denmark at Yad Vashem Tomorrow". Yad Vashem. 29 October 2013. Retrieved 29 December 2013. ^ "Prince William visits Yad Vashem, honors great-grandmother who rescued Jews". Times of Israel. 26 June 2018. Retrieved 29 June 2018. ^ "The President of Chad visiting Yad Vashem". Yad Vashem. 20 September 1965. Retrieved 19 January 2014. ^ "The President of Mexico visiting Yad Vashem". Yad Vashem. 7 August 1975. Retrieved 19 January 2014. ^ "The President of Egypt, Anwar Sadat, visiting Yad Vashem". Yad Vasehm. 20 November 1977. Retrieved 19 January 2014. ^ "The President of West Germany, Richard von Weizsacker visiting Yad Vashem". Yad Vashem. 8 October 1985. Retrieved 19 January 2014. ^ "Clinton Offers Prayer of Hope During His Visit to Yad Vashem". Jewish Telegraphic Agency. 31 October 1994. Retrieved 29 December 2013. ^ "Newsline - January 4, 2000". Radio Free Europe/Radio Liberty. 4 January 2000. Retrieved 19 January 2014. ^ "Visit of Croatian President Stipe Mesic to Yad Vashem". Yad Vashem. 31 October 2001. Retrieved 19 January 2014. ^ "German President Kohler at Yad Vashem Tomorrow". Yad Vashem. 31 January 2005. Retrieved 19 January 2014. ^ "Visit of Serbian President Boris Tadić to Yad Vashem". Yad Vashem. 8 November 2005. Retrieved 7 November 2005. ^ "Putin Visits Israel and Tries to Allay Its Security Worries". New York Times. 29 April 2005. Retrieved 29 December 2013. ^ "Polish President at Yad Vashem Tomorrow". Yad Vashem. 11 September 2006. Retrieved 19 January 2014. ^ "President Bush Visits Yad Vashem". The White House. 11 January 2008. Retrieved 29 December 2013. ^ "Visit of French President Nicolas Sarkozy to Yad Vashem". Yad Vashem. 23 June 2008. Retrieved 29 December 2013. ^ "Visit of President of Germany to Yad Vashem". Yad Vashem. 28 November 2010. Retrieved 19 January 2014. ^ "President Josipović visits Yad Vashem". Office of the President of the Republic of Croatia. 13 February 2012. Retrieved 19 January 2014. ^ "Visit of President of Germany Joachim Gauck and Ms. Daniela Schadt to Yad Vashem May 29, 2012". Yad Vashem. 29 May 2012. Retrieved 25 May 2017. ^ "President Obama at Yad Vashem Today". Yad Vashem. 22 March 2013. Retrieved 29 December 2013. ^ "Serbian President at Yad Vashem Tomorrow". Yad Vashem. 28 April 2013. Retrieved 29 December 2013. ^ "Cypriot President at Yad Vashem Tomorrow". Yad Vashem. 5 May 2013. Retrieved 29 December 2013. ^ "Colombian President at Yad Vashem Tomorrow". Yad Vashem. 9 June 2013. Retrieved 29 December 2013. ^ "President of the Czech Republic at Yad Vashem Tomorrow". Yad Vashem. 6 October 2013. Retrieved 29 December 2013. ^ "Nigerian President at Yad Vashem Tomorrow". Yad Vashem. 27 October 2013. Retrieved 29 December 2013. ^ "Polish President at Yad Vashem Tomorrow". Yad Vashem. 3 November 2013. Retrieved 29 December 2013. ^ "President of Guatemala at Yad Vashem Monday". Yad Vashem. 8 December 2013. Retrieved 29 December 2013. ^ "Sri Lankan President at Yad Vashem Tomorrow". Yad Vashem. 8 January 2014. Retrieved 21 January 2014. ^ "Romanian President at Yad Vashem Tomorrow". Yad Vashem. 19 January 2014. Retrieved 21 January 2014. ^ "El Presidente de la República del Perú visitó Yad Vashem el 17 de febero de 2014". Yad Vashem. 2 May 2014. Retrieved 2 May 2014. ^ AFP (2015-07-22). "KOLINDA IN ISRAEL 'I express my deepest regret to all the victims of the Holocaust in Croatia. Ustasha regime manipulated the Croats'". Jutarnji.hr. Retrieved 2016-08-17. ^ "Polish President Visits Yad Vashem". Yad Vashem. 17 January 2017. Retrieved 20 May 2017. ^ "German President at Yad Vashem". Yad Vashem. 4 May 2017. Retrieved 25 May 2017. ^ "Bulgarian President at Yad Vashem Wednesday". Yad Vashem. 19 March 2018. Retrieved 23 March 2018. ^ "Philippines' Duterte: 'never again' at Israel's Holocaust memorial". 9 March 2018. 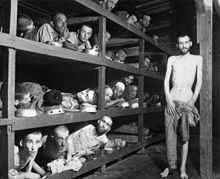 ^ "Duterte at Yad Vashem: 'Despots and insane leaders' should be deposed". ^ "The Prime Minister Education Minister of Gambia visiting Yad Vashem". Yad Vashem. 11 October 1966. Retrieved 19 January 2014. ^ "The Prime Minister of the United Kingdom, Margaret Thatcher, visiting Yad Vashem". Yad Vashem. 25 May 1986. Retrieved 19 January 2014. ^ "The Prime Minister of Greece visiting Yad Vashem". Yad Vashem. 19 May 1992. Retrieved 19 January 2014. ^ "The Prime Minister of Kazakhstan visiting Yad Vashem". Yad Vashem. 19 May 1992. Retrieved 20 January 2014. ^ "The Prime Minister of Lithuania visiting Yad Vashem". Yad Vashem. 4 October 1993. Retrieved 19 January 2014. ^ "Palestinians upset Chretien avoids East Jerusalem". CBC News. 11 November 2000. Retrieved 10 February 2017. ^ "Sanader: Individualisation of Yad Vashem Victims More Powerful than just Plain Figures". Croatian Radiotelevision. 28 June 2005. ^ "Turkish Prime Minister to Visit Yad Vashem Today". Yad Vashem. 1 May 2005. Retrieved 2 September 2016. ^ "Besucher aus deutschsprachigen Ländern" (in German). Yad Vashem. 30 January 2006. Retrieved 19 January 2014. ^ "Georgian Prime Minister at Yad Vashem Tomorrow". Yad Vashem. 23 June 2013. Retrieved 29 December 2013. ^ "Italian Prime Minister at Yad Vashem Monday". Yad Vashem. 30 June 2013. Retrieved 29 December 2013. ^ "Greek Prime Minister at Yad Vashem Tomorrow". Yad Vashem. 7 October 2013. Retrieved 29 December 2013. ^ "Dutch Prime Minister at Yad Vashem Sunday". Yad Vashem. 5 December 2013. Retrieved 29 December 2013. ^ "Canadian Prime Minister at Yad Vashem Tomorrow". Yad Vashem. 20 January 2014. Retrieved 20 January 2014. ^ "Prime Minister of the Czech Republic at Yad Vashem Tomorrow". Yad Vashem. 24 November 2014. Retrieved 27 November 2014. ^ "Prime Minister of the Serbia at Yad Vashem Tomorrow". Yad Vashem. 1 December 2014. Retrieved 30 November 2014. ^ "Greek PM Visits Holocaust Museum in Jerusalem". Yad Vashem. 25 November 2015. Retrieved 25 November 2015. ^ "Albanian Prime Minister to visit Yad Vashem". Israeli MFA. 21 December 2015. Retrieved 11 January 2016. ^ "Prime Minister Shinzo Abe Visits Israel". Ministry of Foreign Affairs of Japan. ^ "HRT: Plenković se sastao s Netanyahuom" (in Croatian). Vijesti. Retrieved 2017-01-24. ^ "Yad Vashem Holocaust memorial is mirror to the world: PM Narendra Modi". India times. ^ "Australian Prime Minister Visits Yad Vashem". Yad vashem. ^ "UN Secretary General at Yad Vashem Today". Yad vashem. ^ "The Dalai Lama visiting Yad Vashem". Arts & Culture. Jerusalem, IL: Google. 1994-03-20. Retrieved 2017-03-08. ^ "Visit of Pope John Paul II at Yad Vashem". Yad Vashem. 23 March 2000. Retrieved 29 December 2013. ^ "Visit of Pope Benedict XVI 11/5/2009". 11 May 2009. Retrieved 29 December 2013. ^ "Archbishop of Canterbury Moved During Visit to Yad Vashem". Yad Vashem. 27 June 2013. Retrieved 29 December 2013. ^ "Marlene Dietrich visiting Yad Vashem". Yad Vashem. Retrieved 14 February 2014.